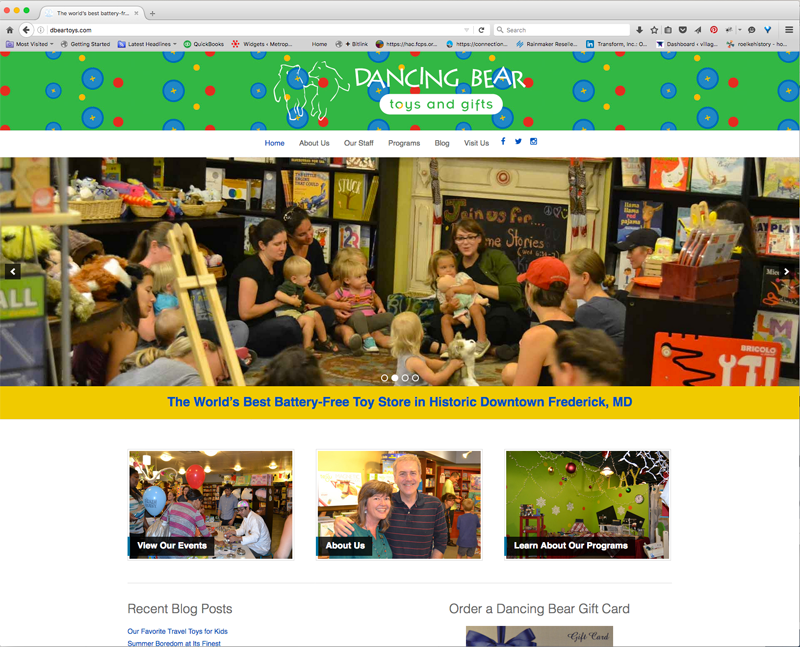 Dancing Bear in historic downtown Frederick, MD was ready for a website update. They offer many events and had been using Eventbrite for registrations to those events. While it worked well in the beginning, they found it difficult to use and became expensive due to fees as they added more events. The new site is built on WordPress and provided them with a site that they can easily update and manage.